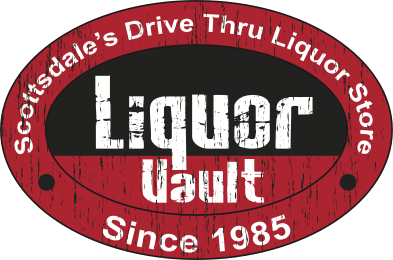 The Liquor Vault was established in 1985 and has been serving satisfied customers with our in-store and drive-through services ever since. Peter Vassallo, owner of the Liquor Vault, has assembled an incredible, friendly staff to meet all of your needs. This is truly one-stop shopping for any occasion and the knowledgeable staff will go above and beyond to make sure that your experience is truly special. We supply liquor for parties, graduations, wine events as well as have a great selection of birthday and holiday gifts. We offer special ordering to ensure you have exactly what you desire. Come on in and meet our ruggedly handsome Peter V. You can expect a family atmosphere with Midwest values that will have you leaving with a big smile on your face. "The mission of the Liquor Vault is to offer a vast selection of the finest quality products at highly competitive prices in an efficient, fast and friendly manner. Our goal is to provide our customers with a personally tailored experience that accommodates their needs." 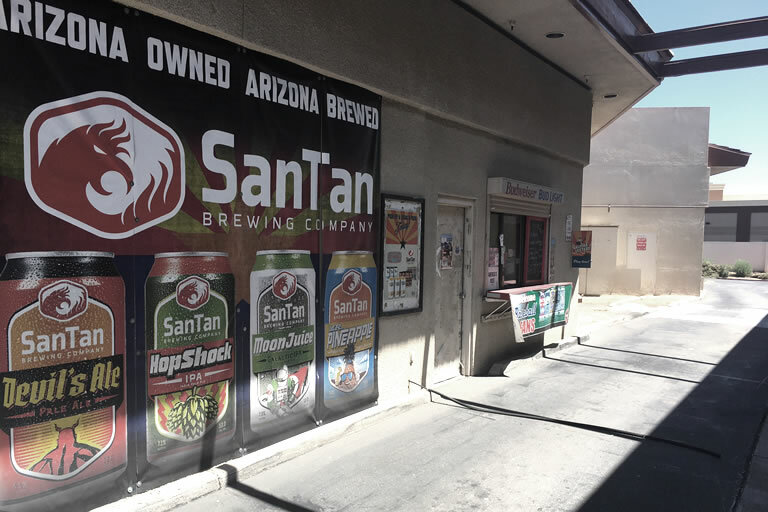 The Liquor Vault is locally owned by Peter Vassallo. When you come to the Liquor Vault you can count on the same faces helping you every time. With our knowledgeable staff you will get the personal attention you deserve, you will not just be another number at the Big Box stores and grocery stores. 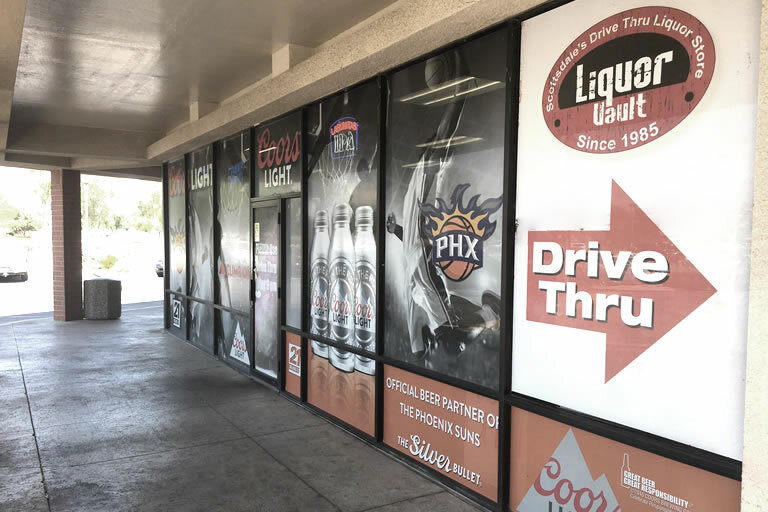 Liquor Vault has everyday competitive prices and a very convenient Drive Thru window. If you are looking for something we do not stock we will be happy to special order any wine, liquor, or beer that you are searching for. Come meet Peter, Dave, Neal, and Todd and you will receive the Midwest charm and promise you a great experience. There I was...Sunday morning...fresh out of an awesome sleep. My three year old awakes, and immediately wants pancakes. I am ill prepared for this scenario. So, the logical choice is for us to head to McDonald's on Shea, just around the corner from our place. But, it's FOOTBALL DAY!!! You know...the kind of day where you stay in your pajamas all day, and bum it up. There isn't a snowball's chance in hell that I'm going to be presentable to the public. What do I do? I know...drive thru! As we're in line waiting for our McDonald's breakfast to be ready, it dawns on me...we're out of beer...and it's 10:00 in the morning on a Sunday. NOW what do we do? Lucky for me, Liquor Vault Drive-Thru is directly behind me, and they're already open for business! The sheer convenience of this establishment is reason enough to give this place 5-stars. I mean, drive-thrus were invented for just these types of slothful situations. When I pulled up to the drive-thru, I asked for a Miller Lite 18 pack of bottles. The attendant pulled away for a minute, checked the refrigerator, and then came back with a 12 pack and a 6 pack. He told me that they were out of the 18-pack, yet he still just charged me for the 18-pack price. That's the kind of customer service you want...the establishment is out of stock on the thing that you want, so they make concessions to make up for it. The piece de resistance was that the gentleman was observant enough to notice that my daughter was along for this early morning party-planning-committee trip. He threw in a couple of lolipops for my co-pilot. What a cool establishment, and an ingenious service idea! They had a bottle I have been looking for. It took me 6 months to track this down and its not supposed to be a rare bottle. Can people stop drinking bourbon please? Leave some for me. Good selection of bourbon if you are interested. Bookers, Eagle Rare, and various other top shelf bottles. The Liquor Vault made getting beer for my wedding so easy! Their keg selection is incredible. They delivered to my house (reception venue) and set everything up for us while we were at the ceremony. They also delivered extra ice for us. The return day/time was flexible. I definitely recommend the Liquor Vault for all your wedding booze needs! Peter was extremely helpful and friendly in coordinating a home delivery for me! The process was so easy and the delivery arrived during the time frame that I had requested. I would highly recommend using their delivery service. Thank you, Peter!